Over the course of any year, we produce 2-3 Original Shows featuring the best and brightest national and international talent that we can find. The process is painstaking, (outlined a bit here), but it’s always rewarding when the cast is assembled on stage to perform the songs and selections that our team chooses in our signature “revue” style. The revue-style dates back to the 1800s but was popularized around World War I, and is still very much alive today. It’s known for its melding of music, dance and sketches. These artistic components can be from various, disparate sources, but usually are put together with a common theme – much like how Country Classics uses many different, legendary country songs, and puts them all together in a way that is presentable, and entertaining. had over 2,000 performances during that span. The show features songs like “Yakety Yak”, “Trouble”, “Hound Dog” and more. 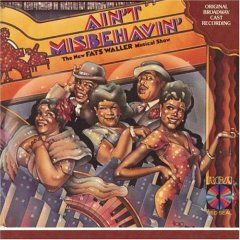 Ain’t Misbehavin’ is another popular musical revue that still lives on in tours around the country. It’s focus is on those musicians associated with the Harlem Renaissance, and takes its title from a Fats Weller song of the same name. Recently, American Idol winner Ruben Studdard, as well as contestants Frenchie Davis and Trenyce Cobbins, starred in the 30th-anniversary national tour. At AMT, we aim to continue the tradition and history of these legendary revue-style productions. Our next few Original Shows are American Icons, The 2012 Christmas Show: Home for the Holidays, Broadway: Now and Forever, and The 2013 Christmas Show. Here’s a clip from our current show, Country Classics.